Pennington, Richard. A Descriptive Catalogue of the Etched Work of Wenceslaus Hollar 1607-1677. Cambridge: Cambridge University Press, 1982. 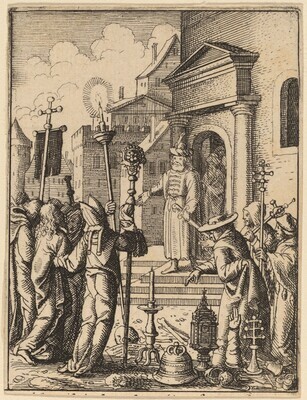 The New Hollstein German Engravings, Etchings and Woodcuts, 1400-1700. (Wenceslaus Hollar, Simon Turner, author). Rotterdam: Sound & Vision Interactive, 1996-, no. 1206, state only.